The iFi AUDIO micro iPhono2 is a stereo phono preamplifier designed to provide low-noise, high-gain preamplification for a variety of turntables in listening rooms, home setups, studios, and transfer stations. It features separate RCA inputs for moving magnet and moving coil phono cartridges and stereo RCA outputs. It ships with an iPower 15V power supply. 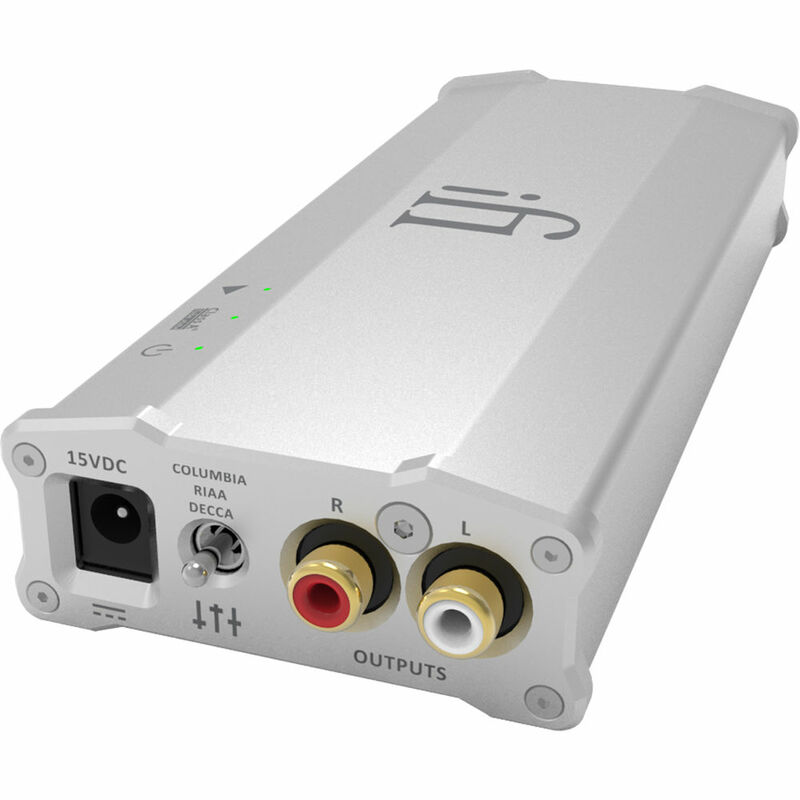 A Burr-Brown J-FET amplifier in the iPhono2 delivers 36 to 72 dB of gain. The preamp’s Class A circuitry yields a wide frequency response of 20 Hz to 20 kHz (±0.2 dB) and a high dynamic range of 106 dB. There are selectable EQ curves and load settings to accommodate an extensive array of LPs and cartridges. Box Dimensions (LxWxH) 8.1 x 3.6 x 3.4"